SEPTEMBER 2017; FLANDERS, NEW JERSEY: A little over a year ago, API installed a Vision console at New Jersey's Mount Olive High School. The school is known for its impressive curriculum, which includes an award-winning robotics team, a music program with a 60-piece orchestra, television production program, and now, a professional-level recording studio, of which the Vision console is the centerpiece. The studio was in planning for over a year, with acclaimed Producers/Engineers Ron Saint Germain and Tony Bongiovi brought on as consultants. 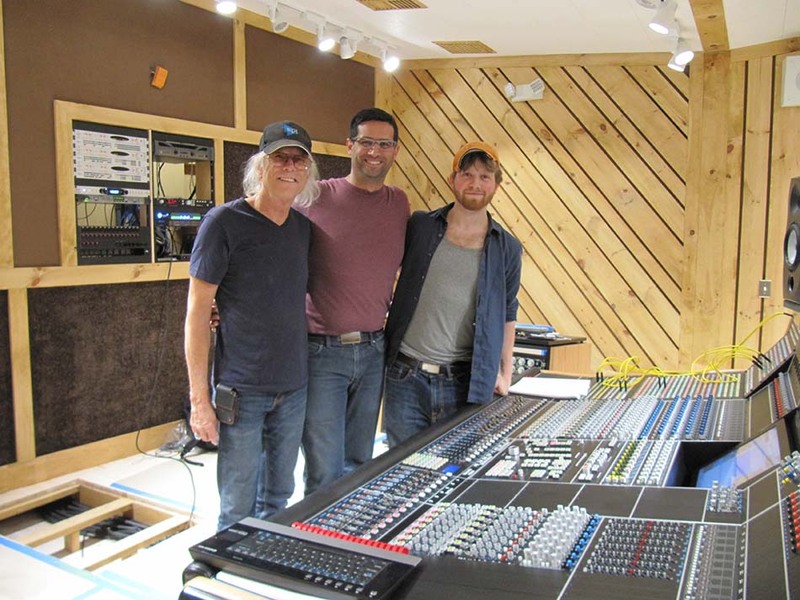 Based on their enormous experience and expertise, the Vision was the obvious choice for both Saint Germain and Trevor Campbell, head of the Audio Production Program. In its first year at Mount Olive, the console has not disappointed. "The API Vision has not only been an excellent quality console when working with clients and running sessions, but a fantastic teaching tool as well," said Campbell. "Students who have any kind of experience with audio are all working 'in-the-box'. This console gives them the opportunity to work with tactile controls instead of just clicking a mouse. It enables them to truly feel the audio." Even more students are enrolling in the program for the upcoming year, and with Mount Olive's diverse music program, the studio is used regularly, recording everything from orchestra and choir to jazz and rock and roll. Campbell adds, "With the API Vision at the center of it all, our studio has been a huge asset to the entire district and gives students real-world experience, whichever side of the glass they're on, that they wouldn't find anywhere else. As a teacher and engineer, I can say that the modular design, patching and routing capabilities, and excellent build quality make working with the console a dream. It makes my life easier and sounds amazing. I'm so happy with our choice."